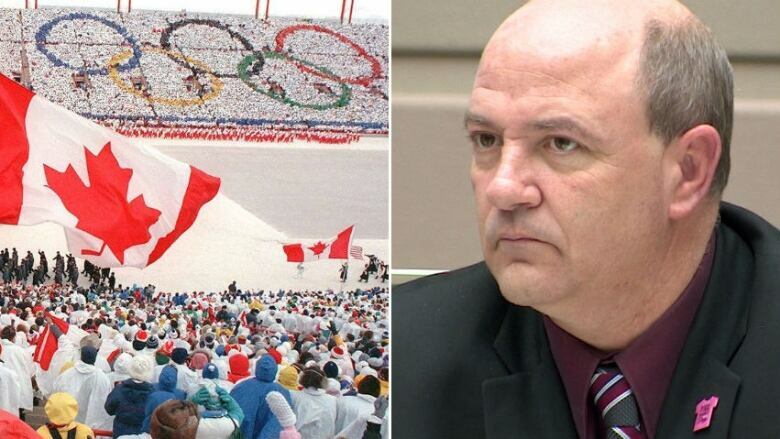 Some city councillors are raising concerns about what they describe as a lack of balance on a new committee that will focus on Olympic issues, saying it's dominated by bid supporters. Some city councillors are raising concerns about what they describe as a lack of balance on a new city subcommittee that will focus on Olympic issues, saying it's dominated by bid supporters. "I would have preferred it to be different," said Coun. Peter Demong, the lone member of the five-person subcommittee who has consistently opposed the idea of Calgary hosting the 2026 Olympic Winter Games. The other four members of the subcommittee — Mayor Naheed Nenshi and councillors Evan Woolley, Ray Jones and Diane Colley-Urquhart — have voted to continue work on a potential Olympic bid. The five-member subcommittee will meet twice a month to discuss matters related to a potential bid. Coun. Shane Keating also expressed frustration at the makeup of the group. "Balance on the committee matters," he tweeted. "We need those opposing voices to commit to the discussion." Council appointed the subcommittee members late Monday night after meeting behind closed doors. Keating said only one other Olympic opponent on council, Coun. Druh Farrell, had put her name forward to be a part of the group, but she wasn't selected. "Pretty hard to get balance on the committee when the critic who was willing to serve wasn't appointed," Farrell tweeted. Demong said he feels outnumbered on the subcommittee. "I've always thought that if you want to have a good diverse discussion of the topics, you get both sides to the table in force," he said. "Now having said that, this is the will of council. I'm going to carry forward the best I can and keep a critical eye on how this committee goes forward." Council voted 9-6 last week to reaffirm its support for the pursuit of a potential Olympic bid, after several councillors expressed frustration at the way city staff had been handling the process. Council also voted this week to hold a plebiscite — a non-binding vote of all citizens — on the idea of Calgary submitting an Olympic bid. The plebiscite is expected to cost about $2 million and take place sometime between October and February. The International Olympic Committee is set to decide on a host city for the 2026 games in September 2019. MORE CALGARY NEWS | Nearly half of Albertans have trouble paying their bills. Only one-quarter think NDP can get a pipeline built.